Sometimes, fans just want a big name addition rather than someone who actually fills a hole. We're all guilty of it but the snap back to reality is always necessary. The Chiefs are one team which may be interested in one of the biggest stars in free agency but this would be a mistake. If they're looking for secondary help, it should not come in the form of the former All-Pro out of Seattle. 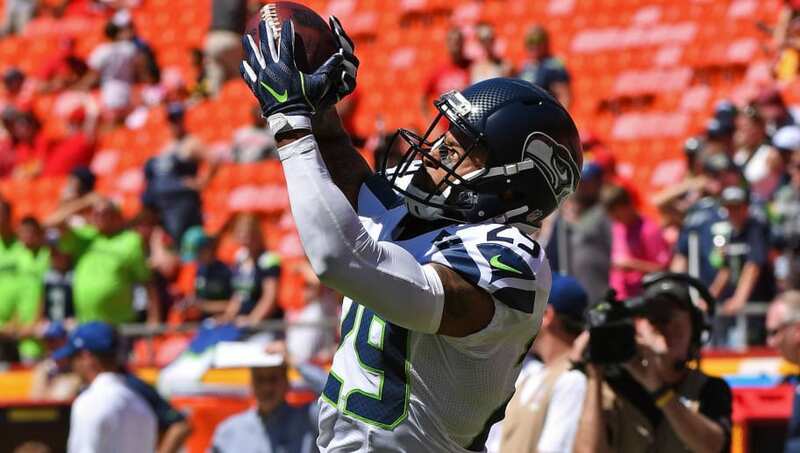 Kansas City has no reason to pursue a player like Earl Thomas. Just because they went after him during the season doesn't mean they're going to make a similar run when he becomes a free agent. All you have to do is look at the money to realize why this isn't a good fit. Kansas City will have about $45 million in cap space according to Chiefs Wire but they have too many mouths to feed in house. Jeff Allen, Allen Bailey, Dee Ford, Chris Conley and others are all in the need for new contracts. They're not going to have the money to pay Thomas the massive deal he's looking for. Plus, the safety position is already filled up. Eric Berry and Daniel Sorensen are both under contract and will lock down the safety spots when they're both healthy. Sure, KC needs secondary help. But signing Thomas just adds more depth in a position where there's already a healthy surplus. Brett Veach said feels Eric Berry left the season "on a good note" after playing in the AFC Championship Game. You're really going to want to add a third safety who has missed 19 regular season games since 2015? This isn't Madden. Thomas simply isn't the right fit for the Chiefs.